Our favorite all around test kits are the red sea kits. 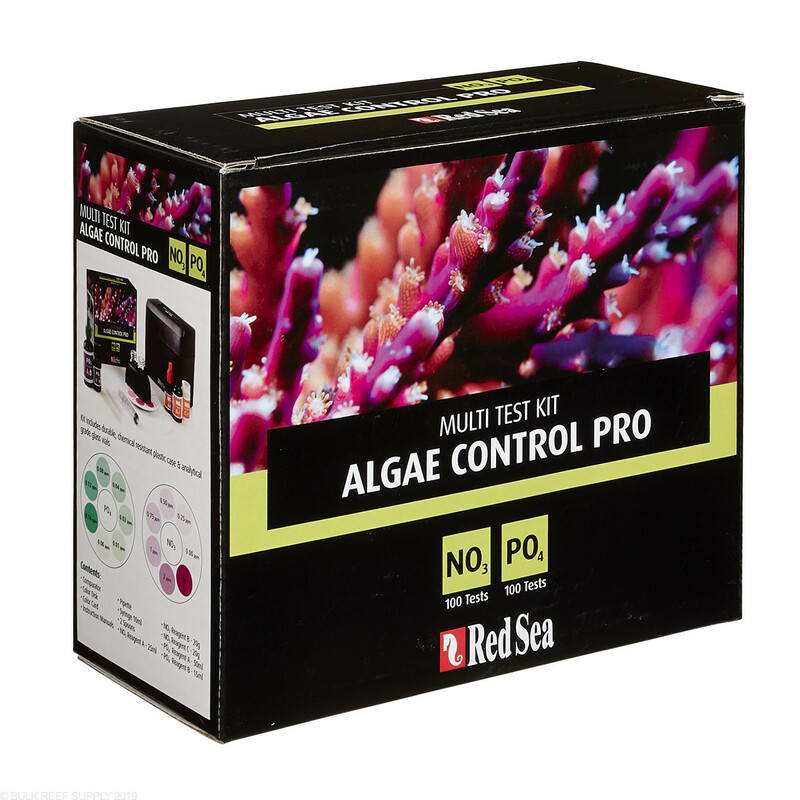 With easy to follow directions, and consistent results, we always have a Red Sea Algae Control test kit in our testing closet. 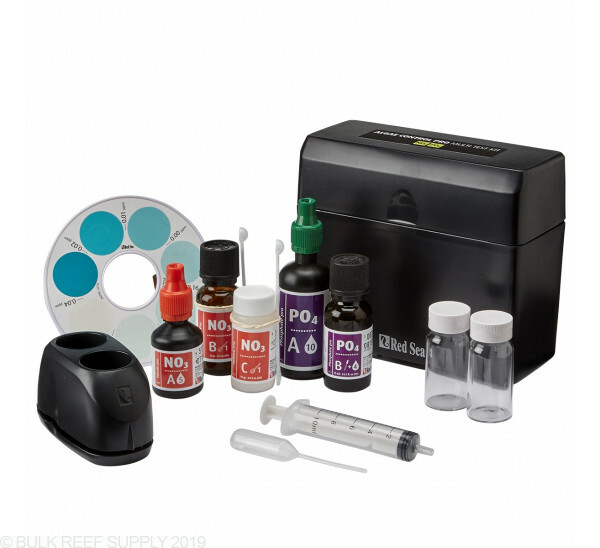 The Red Sea multi test kits are by far the best value for purchasing multiple test kits. Monitor nutrient levels to prevent algae and promote healthy corals. 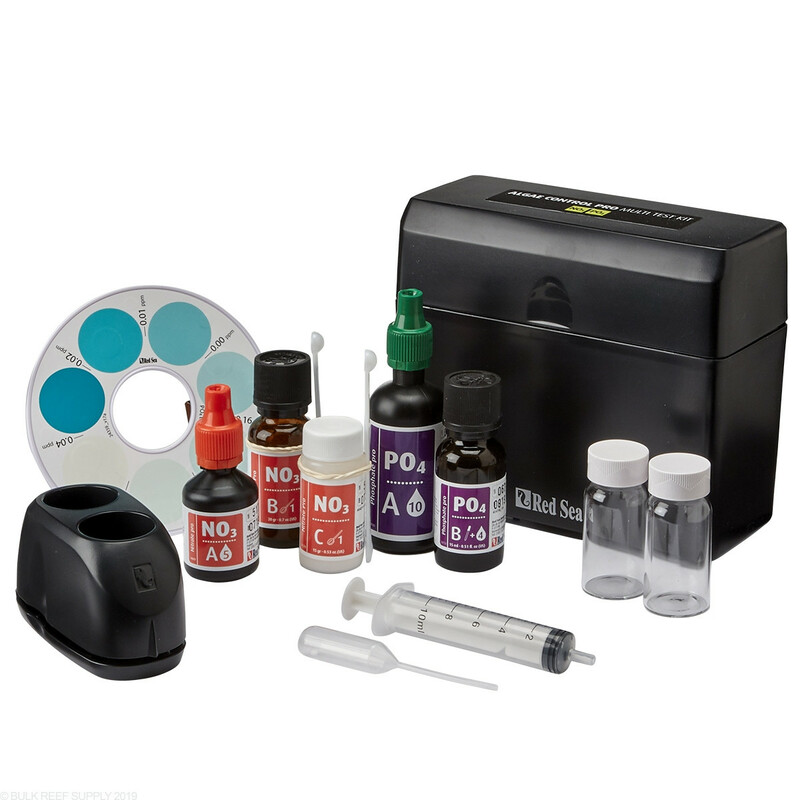 This kit combines two essential tests in one – Nitrate and Phosphate. Easy to use colorimetric comparator wheel. I’m happy with the purchases from BRS. Those gentlemen in the store are very helpful and do best customer service. I highly recommend. These test kits are reading zero, which is in line with my salifert kits and the LFS's Hannah instruments. I used the old redsea phosphate kit a lot when i worked at the LFS, it seems like redsea changed their phosphate reagents that were consistently reading 0.08 a while back. I am fully satisfied with everything. Truly easy to use and instructions are great. Box means nothing will ever break, in theory. I opened mine and found that one or more of the bottles had leaked their caustic substances. the plastic held up luckily so I spent the first ten minutes double checking all the bottles and cleaning the mini hazmat spill. Nitrate is easy to read but for me the Phosphate is a PITA especially the low range as they all are maybe a fraction of a shade off from one another. It is a fun game to do with the kids of what color is this closest to. I like the test kit. It would be better if the Nitrate range went a little bit higher. The bottles are a TIGHT fit in the color wheel device, but it was still fairly easy to use without the vial installed the whole way. This test kit is nice because it allows for dilution of the sample for higher nitrate values. The phophate reagents are very viscous, so be careful not to shake them or you will get lots of bubbles, making it hard to know that your drop sizes are the right size. I was using API kits prior and they are hard for me to tell the color difference especially in the Nitrate test. I started dosing NO3PO4-X and needed something more accurate. This is it. Works as designed and I appreciate the color wheel rather then trying to hold up against a chart. A great alternative to expensive reactors. I purchased this test kit to keep track of the phosphate and nitrate levels. I was using another brand and wanted to compare test results. Overall, the results are the same with both brands. Red sea brand does measure in more accurate increments. Directions are fairly easy to follow. The dollar value for the combo kit is much better than purchasing separately. I have been using this for about two weeks as I am cycling my tank. It can be used in a high range and low range with RO water for dilution. I find it to be very helpful. Comes in a nice plastic storage case that holds everything very well. I have had similar ones in the past and they were like a puzzle trying to get things back together. The accuracy and repeatability are second to none except for a true lab test. These two tests take a few minutes to do but the time is absolutely well worth it and the kit is a true value compared to the others. It is easy to confidently determine your aquariums nitrate and phosphate levels so you can stay the course or make changes to improve. Red sea has thought of everything for this test. Results are very easy to discern and the tests are easy to carry out -no long waiting time before adding the next reagent. The only complaint I have is the Nitrate test is a very low range - no more than 0.85 ppm or you're out of range. So a dilution may be necessary. 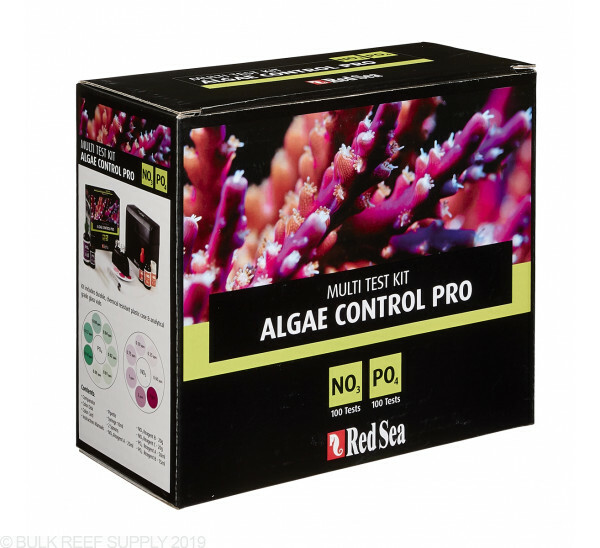 Does the Red Sea algae test kit come with written directions to use test kits and do the directions offer suggestions as to how to remedy high nitrate and phosphate levels? This will come with instructions on how to use however not many suggestions for remedy. For that we recommend looking into the reefing forums for high nitrate removal. Feel free to let us know if you have any further questions!